THERE was a mixed response from candidates for Thursday’s local government elections on whether private council seminars should be held in public. Retiring councillor Jonathan Wills’ bid to open up members’ seminars to the public was emphatically outvoted 17-2 when he raised the issue at the last full SIC meeting before the elections. There was a varied reaction from the 25 respondents, with many of those who sat on the last council reiterating that no decisions are made in private seminars. Malcolm Bell: “No. There is a lot of misunderstanding about this. Occasional seminars are held to allow councillors to receive training and information on areas they require detailed knowledge. Seminars are, emphatically, not used for scrutiny, consideration of council reports or decision-making. “Scrutiny, consideration of reports and decision-making are always done in public, unless there is, exceptionally, a legal reason for holding it in private, for example a report containing commercially sensitive information. One other point: I think seminars get confused with the practice in most councils and all parliaments, of political groups meeting, in private, to consider upcoming agendas and reports. Stephen Leask: “I am favour of transparency as we must be open and honest with the Shetland electorate. No response received from Thomas Williamson. Frances Valente: “I do not think there is a case for so many private seminars. I understand why some councillors want to be able to discuss complicated matters out of the public gaze, but to be honest they ought to be able to ask questions about these issues in public. Are they concerned that they would look foolish? Is it because they haven’t fully understood all the background to the subject? No responses received from Cecil Smith or Amanda Westlake. George Smith: “The vast majority of council decisions are made in public and all are made at meetings that are properly advertised. That is the way it should always be. 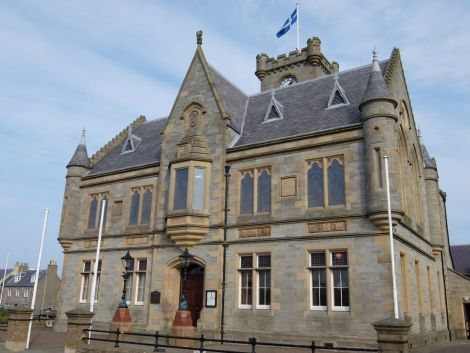 The council has traditionally been an independent council and free from political groupings forming pre-determined positions, and that has been a strength generally, though it does put an expectation on each and every councillor to fully acquaint themselves with all the facts before making important decisions. Seminars have a role in effecting this understanding. No response received from Allison Duncan. Mark Burgess: “No, and no. There may be scope for the introduction of public-facing seminars but this would be a substantial additional workload on officers. This very question arises as the product of a near-three hour meeting, at the conclusion of which one member postured that this was, in his opinion, an issue and this, in the media-facing instance of the meeting, outshone all the previous valuable content of the meeting, in the last fifteen minutes. “Journalists could not reasonably be expected to effectively relay the balanced content of every gathering of every councillor grouping that happens within the chamber as formal meetings or seminars and this instance perhaps proves that to be the case. To paraphrase the maxim, it may be the case that what people believe to be true is more important than what is actually true and in this case, unfortunately, the public have been led to believe that there is a fault to correct but I do not believe this to be the case and nor did the other 16 of 19 councillors present on the day. Davie Sandison: “Broadly speaking, I am not in favour of decisions being made in private, unless there are clear commercial or confidential matters that would damage the interests of other parties or individuals under consideration. It is important to allow councillors to have space to consider some matters in private, as they work through the development of proposals, particularly as this often revolves around potential cuts to services and hence cuts to actual jobs within the council – often it would be difficult to protect the anonymity of individual staff who may be affected directly by such decisions and I therefore have no difficulty in understanding the need for such discussion to be held in private. Ian Scott: “I have no idea how many private seminars are held, but to my mind one is too many. I understand the need for commercial confidentiality and private discourse, but our public have every right to hear what our councillors are being told and what is being said. Ryan Thomson: “I do. I fully understand that some meetings need to be held behind closed doors for numerous reasons, however if there are any meetings that can be held in public, they should be. I believe a reason for keeping these ‘behind-closed-doors seminars’ was to ‘offer a safe place for councillors to ask questions they might not otherwise ask’. No response received from Cecil Hughson. No responses received from Alastair Cooper or Isobel Johnson. Steven Coutts: “I thought it inappropriate for an outgoing council, at its last meeting, to decide how the council elected in 2017 should operate. As a hard working councillor for the last five years acting on behalf of the community, I am somewhat saddened by some of the comments and apparent lack of trust in councillors, around this issue. Debra Nicolson: “If councillor seminars were held in the public eye it would make our elected members more accountable and open and it would change public perception of their councillors. While out canvassing I have been told many times that councillors are secretive and not in touch with the community. Theo Smith: “Seminars are a very important means of bringing members up to speed on a subject, an issue or project and to provide additional information, in many cases, of a sensitive or confidential nature. This council has held seminars when asked for by members or when suggested by officials.